This month marks the 150th anniversary of the Brussels Congress of the International Workingmen’s Association (the so-called First International). It was one of the most important congresses of the International. The majority of the Belgian members hosting the Congress had been developing a libertarian socialist approach that presaged anarcho-syndicalism. One of their more eloquent speakers was César De Paepe, who had been influenced by Belgian and French socialists, including Proudhon, whose “anarchy” De Paepe had extolled in 1863 (see Shawn Wilbur’s full translation here). At the International’s Laussane Congress in 1867, De Paepe had used Proudhon’s own arguments about property to convince Proudhon’s “mutualist” followers in the International to support the collectivization of land in addition to the collectivization of larger enterprises like mines and railways. The issue remained undecided until the Brussels Congress the following year, when a majority of delegates voted in favour of the collectivization of land as well as of industry. This position became known as “collectivism,” which was contrasted with mutualism and, later, libertarian or anarchist communism. Here I present Shawn Wilbur’s translation of an article published by De Paepe in 1869 after the Basle Congress setting forth the arguments for collectivism that he made in the International. I review these debates in more detail in my book, ‘We Do Not Fear Anarchy – We Invoke It’: The First International and the Origins of the Anarchist Movement. Thanks to a dialectics put in the service of a method more often metaphysical than scientific (which it is necessary to avoid confusing with the historical and objective method of Karl Marx), Proudhon has discovered in the social world some laws that observation confirms more from day to day; it is, however, incontestable that hypothesis still plays an infinitely more considerable role in the works of that thinker and that often he has concluded a priori or from insufficient observations: witness the conclusions of his last works relative to the social role of strikes and trades-unions, and those relative to the tendencies of modern production towards association and thus towards the collective appropriation of land and the large instruments of labor, two phenomena of which Proudhon has misunderstood the immense scope from the point of view of the organization of the future, and that he condemned even in the name of reason and logic, while Marx, already well before 1848, in the name of observation and history, considers them the two principal elements of the solution of the social problem. The majority of the writers of Liberté have made the defects of Proudhon their own by sacrificing, so to speak absolutely, his scientific side. The article of Liberté of September 26, titled Conclusion, is a striking example of these “conclusions [that are] a priori or based on insufficient observations.” Liberté has been informed, by us, as well as by l’Egalité of Geneva, that the account of the Congress of Basel that it published from the Réveil, contained many errors, and that in particular the arguments of the collectivists were presented in a more or less false light; its observation of what is called the “Basel Congress” can thus only be insufficient, since it ignores in large part the reasons which have pushed the majority of the Congress to vote in favor of collective property. Well, despite that insufficiency of observations, Liberté nonetheless presents its “conclusion” which thus can only be a conclusion a priori. That “conclusion” is a work of high fantasy, where shines a disdain for the observation of reality, which is equaled only by the puerile pretention of imposing on humanity purely subjective laws, such as the antinomic laws of Capital and Property, born in the brain of their author and destined to never extend their real existence outside of that small, fantastic and imaginary world. All the reasoning of the anti-collectivists has for point of departure a hypothesis! The very social necessities which have formerly demanded the constitution of individual property, still demand and will doubtless always demand the support of individual property. That support is fatal; the force of things demands it; divisions or successions parcel out the soil, it is true; but the drawbacks of parceling will not lead to association, to the putting-in-common of the parcels, etc. ; that is to say: the soil tends to be divided more and more, and we conclude from it that there may be a natural limit to this division. Why do you conclude that? By what right, on what basis, do you claim that individual property in land is alone practical? Do you know another means of remedying the division, to the parceling out of the soil, but the reunification of the parcels, whether that reunification is made for the profit of a single proprietor who makes the other proprietors of parcels his waged workers (a system that we all recognize as contrary to the aspirations of our era), or for the profit of several by means of co-proprietorship, that is a sort of collective property, however large or narrow this co-property may be? Is there in agriculture itself, that is to say, independent of the effects produced in France and in some adjacent countries by the sale of national properties and the law regarding successions,—two political, extra-economic facts.—Is there in agricultural industry the least tendency to purely individual labor? Is that this industry like the others, does not demand the application of the collective force, the division of functions, the use of machines, production on a grand scale and with unity? Are not the harvest, haymaking, and grape-picking the types par excellence of collective labor? You want the contrary, and that is why, taking your wish for a positive tendency of society, you misread the facts, and believe that the natural evolution is diametrically opposed to what it is in reality; and that idea well-fixed in your brain, that the natural evolution conforms to your desires, you go so far as to reject revolution which is the thoughtful and intelligent intervention of men to hasten the dénouement of a natural evolution, even, if need be, putting force in the service of the new ideas and not, as you describe it, the violent intervention of a higher and foreign will in society. And you call yourself revolutionaries! Alas! Your maxims and your method are borrowed from the code of the bourgeois economists, who have also not wanted the intervention of men in the blind play of economic laws, and laugh at the spontaneous and collective efforts of the workers to hasten the period of necessary modifications; laissez faire, laissez passer. You think that Society has the right to maintain individual property of the soil and to oppose itself to its return to collective property. In the name of what society do you speak? And if it has the right to do it, does it have the power? If at a given moment it can intervene in a revolutionary manner to regulate its own affairs and make all at once a great step forward towards its natural destinies, can it overturn the natural order of things? Society has only one right, which is to conform to its own laws, to the laws of its historic development; to hasten or slow the natural tendencies that follow the facts, by modifying in one sense or another certain institutions, such is the power of the body of individuals who make up society at a given moment, a power in which each participates to a certain degree according to their greater or lesser influence on their contemporaries. When the anti-collectivist Proudhonians have proved to us that their individual property without rent either to the profit of individuals, or to the profit of society as a whole, that their leveling of the land-rent, is an observable phenomenon; when they have studied and classified the relations of that force that we have thus far encountered among the proprietarian phenomena; when they have classified and generalized these relations in order to draw some laws from them, we will bow before these laws, unless we can neutralize them by contrary laws; until then were are right to say that the rent is a natural fact resulting from the unequal fertility of the soil, an inequality that one can, certainly, diminish by means of certain agronomical procedures, irrigation, rotations, enrichments, etc., but that one can never level because they result from forces placed beyond the power of man, such as the exposure of a plot of land to the south or north, the vicinity of mountains, waters, forests, etc. ; until then we will be right to say that their system is only an abstraction and that they are themselves only abstractors of quintessence. It is otherwise with collective property, that is an observable phenomenon. Mr. Bakunin has cited the example of the Russian commune, and Mr. Cowel-Stepney a tribe of Indians. Certainly, the Russian commune is not observable in France, Belgium, Italy or England; nor are we Indians, and we do not live in the United States. But what does that prove? If collective property is not an observable fact among us today, does that demonstrate that it does not conform to the most imperious social necessities, those most generally felt, and that consequently it will not be observable tomorrow. — In England, is there the least tendency towards our system of small farmer-proprietors; is there not actually, in fact, a tendency to the greatest concentration of property in land between an always more restricted number of landlords; and doesn’t that very present tendency already produce today a contrary tendency in minds that demand the return of the soil to collective property, a demand which tomorrow some minds will transform into deeds, because it alone conforms to the social necessities that, on the one hand, want large-scale agricultural production and, on the other, demand equality between men. It is certain that the English people, on the day when they have worn out the system of large individual property, can only choose between collective property with large-scale agricultural production, or small-scale property with small-scale production, and that this last alternative is hardly probable in a country where they are accustomed to all the advantages of large-scale agriculture. And if in Belgium and France, the division still continue in many places, don’t we already see certain facts that indicate that the period of division nears its end and that those of association and collectivism will commence? These facts are, on one hand, cooperative association, the pooling of the parcels recognized as useful by the élite among our cultivators, and on the other the application of the public company to agricultural industry. For the first case, let us cite this passage from the January 17, 1869 issue of the Journal de la Société agricole du Brabant the editors of which are certainly not complicit with the laborers of the Basel Congress! “The possible situation of the agricultural populations has awakened the concern of the governments and the economists in recent years. But the remedies that they have proposed, if they tend to attenuate the evils, cannot always make them disappear entirely. It is in freely formed association that must be found the most effective means of combating the drawbacks that we have highlighted. The association would aim to pool capital as well as land, which by their situation are particularly suitable to make up a single operation. Then it could carry out a division of labors that would be set out again between the different chiefs of the operation, in conformity with the special aptitudes of each of them. For the second case, we will content ourselves with citing the public companies of the vineyards in France, and notably the one that spent 12 million on small properties in the Gironde and transformed them into one great rural operation (see the Rive Gauche for June 3, 1866). Just as in manufacturing industry we see the small boss or artisan who labors alone and directly for their clientele, give way to cooperative associations of laborers or associations of capitalists, public or joint-stock companies, we can expect to see the small farming boss and the small proprietor, cultivating their own land, give way to the cooperative association of the rural laborers or to the public agricultural company. That is to say that here again, although by other means than in England, the new tendencies that we can already see here and there push towards a system of collective property and agriculture, rather than the system of the individual possessing proprietor, dreamed of by Liberté. Certainly, these forms of collective property are not those of the collectivism of the Basel Congress, — the earth belonging to the whole of humanity — but they can be a movement towards the collective appropriation of the soil by society, while certainly they are not a movement towards individual property. All this only proves that, although everywhere the earth must be the collective property of society, the solution does not seem as simple to the collectivists as one might say, and that the means of transition between that collective property and present property seem to them to differ necessarily according to the particular constitution of property in land in the different regions. Whatever the case, a little earlier or a little later, depending on the country, the phenomena of agricultural industry and property in land unfold before our eyes according to the same law as those of manufacturing industry and capital, and form with those two series of analogous, if not completely identical facts. That analogy is one of extreme importance, and Liberté has not even glimpsed it; if it had done so, perhaps it would not have so lightly, with the stroke of a pen, abolished an economic phenomenon. First series of phenomena. The profits collected by capital in the form of dividends, interest, profits, bribes, etc. increase more and more; labor’s portion decreases, for if the nominal wage has increased for certain workers, the real wage has diminished. Capital tends to centralize, manufacturing work to become collective. Second series of phenomena. The revenue of the agricultural proprietor increases; the wage of the agricultural workers decreases, although their nominal wage has generally increased. Agricultural property, which tends to centralize in certain countries, also tends to parcel out in others; but even in these latter countries a new tendency begins to show itself beside the other: agricultural property, in order to meet new needs, will centralize, and agricultural labor, by the use of machines, the division of functions, the application of the theory of crop rotation, tends to become collective in all its parts, labor, sowing, reaping, hoeing, clearing, etc., as it has always been, more or less, in some of its essential parts, harvest, haymaking, etc. Thus, we are in presence of two orders of facts which may seem contradictory at first, but which, after a little deeper analysis, appear to follow the same course. l° That the observation of actual facts, of present tendencies, as well as the observation of social necessities that these facts create, alone can lead to solutions. 2° That contrary to the opinions of Liberté, agricultural property, like all capital (machines, workshops, factories, mines, teamsters, etc.) tends to become collective. 3° That a rational comparison of laws, contradictory in appearance, but analogous at base, such as the laws of agricultural property and capital, is often enough to lead to the solution of social problems. 4° That not only is the system of individual property without rent, by the equalization of land, an impossible solution, but that, if it was possible, it would not be not a plausible solution. The inequality of the land-rent of the individuals brought to the same level by the attribution of all the rent to the social collectivity, the application of scientific processes to agriculture, the transformation of the landlord and tenant, agricultural employers, cowhands, and all the small proprietors—the transformation of everyone into co-proprietors of the soil and into co-workers accomplished, the mutualists can reassure themselves, man will no longer be exploited by man, no more by the individual than by the human collectivity, given that society will deduct nothing from the labor of the farmers, but will be content to use the soil in conformity with the general interests and to allocate the rent, which is not the fruit of the individual labor of the cultivators, but rather the combined result of the forces of nature and of society. Among the socialists, Proudhon (1809–1865) approached nearer than any other the interpretation of justice as the basis of morality. Proudhon’s importance in the history of the development of ethics passes unnoticed, like the importance of Darwin in the same field. However, the historian of Ethics, Jodl, did not hesitate to place this peasant-compositor, — a self-taught man who underwent great hardships to educate himself, and who was also a thinker, and an original one, — side by side with the profound and learned philosophers who had been elaborating the theory of morality. But Proudhon’s merit lies in his indicating clearly the fundamental principle following from the heritage of the Great Revolution — the conception of equity, and consequently of justice, and in showing that this conception has been always at the basis of social life, and consequently of all ethics, in spite of the fact that philosophers passed it by as if it were non-existent, or were simply unwilling to ascribe to it a predominating importance. Already in his early work, “What is property?” Proudhon identified justice with equality (more correctly — equity), referring to the ancient definition of justice: “Justum aequale est, injustum inaequale” (The equitable is just, the inequitable — unjust). Later he repeatedly returned to this question in his works, “Contradictions économiques” and “Philosophie du Progrès”; but the complete elaboration of the great importance of this conception of justice he gave in his three-volume work, “De la Justice dans la Révolution et dans l’Église,” which appeared in 1858. It is true that this work does not contain a strictly systematic exposition of Proudhon’s ethical views, but such views are expressed with sufficient clearness in various passages of the work. An attempt to determine to what an extent these passages are Proudhon’s own ideas, and how far they are adaptations from earlier thinkers, would be difficult and at the same time useless. I shall, therefore, simply outline their main contentions. Proudhon regards moral teaching as a part of the general science of law; the problem of the investigator lies in determining the bases of this teaching: its essence, its origin, and its sanction, i.e., that which imparts to law and to morality an obligatory character, and that which has educational value. Moreover, Proudhon, like Comte and the encyclopædists, categorically refuses to build his philosophy of law and of morality on a religious or a metaphysical basis. It is necessary, he says, to study the life of societies and to learn from it what it is that serves society as a guiding principle. Up to this time all ethical systems were constructed more or less under the influence of religion, and not a single teaching dared to advance the equity of men and the equality of economic rights as the basis of ethics. Proudhon attempted to do this as far as was possible in the days of Napoleonic censorship, always on guard against socialism and atheism. Proudhon wished to create, as he expressed it, a philosophy of the people, based on knowledge. He regards his book, “On justice in the Revolution and in the Church,” as an attempt made in that direction. And the object of this philosophy, as of all knowledge, is foresight, so that the path of social life may be indicated before it is actually laid out. Proudhon considers the sense of personal dignity as the true essence of justice and the fundamental principle of all morality. If this sense is developed in an individual it becomes with reference to all men — regardless of whether they are friends or enemies — a sense of human dignity. The right is an ability, inherent in all, to demand from all others that they respect human dignity in their own person; and duty is the demand that everyone should recognize this dignity in others. We cannot love everybody, but we must respect each man’s personal dignity. We cannot demand the love of others, but we unquestionably have a right to demand respect for our personality. It is impossible to build a new society on mutual love, but it can and should be built on the demand of mutual respect. It would seem that at this point Proudhon should have declared quite definitely that a free society can be built only on equity. But he did not so declare, perhaps because of the Napoleonic censorship; in reading his “Justice” this conclusion (equity) seems almost inevitable, and in a few passages it is more than implied. The question of the origin of the sense of justice was answered by Proudhon in the same manner as by Comte and by modern science, that it represents the product of the development of human societies. In order to explain the origin of the moral element Proudhon endeavoured to find for morality, i.e., for justice, an organic base in the psychic structure of man. Justice, he says, does not come from above nor is it a product of the calculation of one’s interests, for no social order can be built on such a basis. This faculty, moreover, is something different from the natural kindness in man, the feeling of sympathy, or the instinct of sociality upon which the Positivists endeavour to base ethics. A man is possessed of a special feeling, one that is higher than the feeling of sociality, — namely, the sense of righteousness, the consciousness of the equal right of all men to a mutual regard for personality. “Thus,” Jodl remarks, “after his most vigorous protests against transcendentalism, Proudhon turns, after all, to the old heritage of intuitional ethics-conscience.” (“Geschichte der Ethik,” ch. 11, p, 267.) This remark, however, is not quite correct. Proudhon merely meant to say that the conception of justice cannot be a simple inborn tendency, because if it were it would be difficult to account for the preponderance it acquires in the struggle with other tendencies continually urging man to be unjust to others. The tendency to protect the interests of others at the expense of our own cannot be solely an inborn feeling, although its rudiments were always present in man, but these rudiments must be developed. And this feeling could develop in society only through experience, and such was actually the case. Like Comte, Proudhon very well realized the progress that was taking place in the development of mankind and he was convinced that further progressive development would occur. Of course, he had in mind not merely the development of culture (i.e., of the material conditions of life), but mainly of civilization, enlightenment, i.e., the development of the intellectual and the spiritual organization of society, the improvement in institutions and in mutual relations among men. In this progress he ascribed a great importance to idealization, to the ideals that in certain periods acquire the ascendancy over the petty daily cares, when the discrepancy between the law, understood as the highest expression of justice, and actual life as it is developed under the power of legislation, acquires the proportions of a glaring, unbearable contradiction. In a later part of this work we shall have occasion to return to the significance of justice in the elaboration of the moral conceptions. For the present I will simply remark that no one prepared the ground for the correct understanding of this fundamental conception of all morality so well as Proudhon. The highest moral aim of man is the attaining of justice. The entire history of mankind, says Proudhon, is the history of human endeavour to attain justice in this life. All the great revolutions are nothing but the attempt to realize justice by force; and since during the revolution the means, i.e., violence, temporarily prevailed over the old form of oppression, the actual result was always a substitution of one tyranny for another. Nevertheless, the impelling motive of every revolutionary movement was always justice, and every revolution, no matter into what it later degenerated, always introduced into social life a certain degree of justice. All these partial realizations of justice will finally lead to the complete triumph of justice on earth. Why is it that in spite of all the revolutions that have taken place, not a single nation has yet arrived at the complete attainment of justice? The principal cause of this lies in the fact that the idea of justice has not as yet penetrated into the minds of the majority of men. Originating in the mind of a separate individual, the idea of justice must become a social idea inspiring the revolution. The starting point of the idea of justice is the sense of personal dignity. In associating with others we find that this feeling becomes generalized and becomes the feeling of human dignity. A rational creature recognizes this feeling in another — friend or enemy alike — as in himself. In this, justice differs from love and from other sensations of sympathy; this is why justice is the antithesis of egoism, and why the influence which justice exerts upon us prevails over other feelings. For the same reason, in the case of a primitive man whose sense of personal dignity manifests itself in a crude way, and whose self-aimed tendencies prevail over the social, justice finds its expression in the form of supernatural prescription, and it rests upon religion. But little by little, under the influence of religion, the sense of justice (Proudhon writes simply “justice,” without defining whether he considers it a conception or a feeling ) deteriorates. Contrary to its essence this feeling becomes aristocratic, and in Christianity (and in some earlier religions) it reaches the point of humiliating mankind. Under the pretext of respect for God, respect for man is banished, and once this respect is destroyed justice succumbs, and with it society deteriorates. Then a Revolution takes place which opens a new era for mankind. It enables justice, only vaguely apprehended before, to appear in all the purity and completeness of its fundamental idea. “Justice is absolute and unchangeable; it knows no ‘more or less’.” It is remarkable, adds Proudhon, that from the time of the fall of the Bastille, in 1789, there was not a single government in France which dared openly to deny justice and to declare itself frankly counter-revolutionary. However, all governments violated justice, even the government at the time of the Terror, even Robespierre, — especially Robespierre. Proudhon pointed out, however, that we should guard against tramping upon the interests of the individual for the sake of the interests of society. True justice consists in a harmonious combination of social interest with those of the individual. Justice, thus interpreted, contains nothing mysterious or mystical. Neither is it a desire for personal gain, since I consider it my duty to demand respect for my fellow-men, as well as for myself. Justice demands respect for personal dignity even in any enemy (hence the international military code). Since man is a being capable of progressing, justice opens the path to progress for all alike. Therefore, wrote Proudhon, justice found expression in the earliest religions, in the Mosaic law, for example, which bade us love God with all our heart, with all our soul, with all our might, and to love our neighbour as we love ourselves (in the book of “Tobit,” where we are told not to do unto others what we do not want done unto us). Similar ideas were expressed by the Pythagoreans, by Epicurus, and Aristotle, and the same demand was made by non-religious philosophers like Gassendi, Hobbes, Bentham, Helvétius, etc. Unfortunately, all the worshippers of the ruling power, even the State — socialists, fail to notice this fundamental principle of all morality and continue to support the necessity of the inequality and non-equity inherent in the State. Nevertheless, equity became in principle the basis of all the declarations of the Great French Revolution (just as it was accepted earlier in the Declaration of Rights in the North American Republic). Already the Declaration of 1789 proclaimed that “nature made all men free and equal.” The same principle was reiterated in the Declaration of July 24, 1793. The Revolution proclaimed individual equality, equality of political and civic rights, and also equality before the law and the courts. More than that, it created a new social economy by recognizing instead of private rights, the principle of the equivalent value of mutual service. “Respect thy neighbour as thyself, even if thou canst not love him, and do not permit that he or thyself be treated with disrespect.” “Without equality — there is no justice.” (I. 204, 206). Unfortunately, this principle has not as yet been attained either in legislation or in the courts, and certainly not in the Church. Economics suggested one way out — the subdivision of labour in order to increase production, which increase is, of course, necessary; but it has also shown, at least through the testimony of some economists, such as Rossi, for example, that this division of labor leads to apathy among the workers and to the creation of a slave class. We thus see that the only possible way out of this situation is to be found in mutuality of service, instead of the subordination of one kind of service to another (I. 269), — and therefore in the equality of rights and possessions. This is just what was asserted by the declaration of the Convention of February 15, and July 24 of 1793, in which Freedom and the Equality of all before the law were proclaimed, and this declaration was reiterated in 1795, 1799, 1814, 1830, and 1848, (I. 270.) Justice, as Proudhon sees it, is not merely a restraining social force. He sees in it a creative force, like reason and work. Then, having remarked, as Bacon had already done, that thought is born of action, and dedicating for this reason a series of excellent pages to the necessity of manual labour and of the study of trades in schools as a means of broadening our scientific education, — Proudhon proceeds to consider justice in its various applications: with respect to individuals, in the distribution of wealth, in the State, in education, and in mentality. Proudhon had to acknowledge that the development of justice in human societies requires time: a high development of ideals and of the feeling of solidarity with all, is required, and this can be attained only through long individual and social evolution. We will return to this subject in another volume. I will only add here that all this part of Proudhon’s book, and his conclusion in which he determines wherein lies the sanction of the conception of justice, contain very many ideas stimulating to human thought. This quality of mental stimulation is characteristic of all Proudhon’s writings, and it was pointed out by Herzen and by many others. However, in all his excellent words about justice, Proudhon did not indicate clearly enough the distinction between the two meanings given in the French language to the word “Justice.” One meaning is equality, an equation in the mathematical sense, — while the other meaning is the administering of justice, i.e., the act of judging, the decision of the court, and even the taking of the law into one’s own hands. Of course, when justice is mentioned in ethics it is interpreted only in the first sense, but Proudhon at times used the word Justice in its second sense, which circumstance leads to a certain indefiniteness. This is probably the reason why he did not try to trace the origin of this concept in man, — a problem with which, as we will see later, Littré dealt at some length. At any rate, from the time of the appearance of Proudhon’s work, “Justice in the Revolution and in the Church,” it became impossible to build an ethical system without recognizing as its basis equity, the equality of all citizens in their rights. It is apparently for this reason that the attempt was made to subject this work of Proudhon’s to a unanimous silence, so that only Jodl was unafraid of compromising himself and assigned to the French revolutionist a prominent place in his history of ethics. It is true that the three volumes which Proudhon devoted to justice contain a great deal of irrelevant matter, a vast amount of polemics against the Church (the title, “Justice in the Revolution and in the Church,” justifies this, however, all the more because the subject under discussion is not justice in the Church, but in Christianity and in the religious moral teachings in general); they also contain two essays on woman, with which most modern writers will, of course, not agree; and finally they contain many digressions, which, though they serve a purpose, help to befog the main issue. But notwithstanding all this, we have at last in Proudhon’s work an investigation in which justice (which had been already alluded to by many thinkers who occupied themselves with the problem of morality) was assigned a proper place; in this work, at last, it is stated that justice is the recognition of equity and of the striving of men for equality, and that this is the basis of all our moral conceptions. Ethics had for a long time been moving toward this admission. But all along it had been so bound up with religion, and in recent times with Christianity, that this recognition was not fully expressed by any of Proudhon’s predecessors. Finally, I must point out that in Proudhon’s work, “Justice in the Revolution and in the Church,” there is already a hint of the threefold nature of morality. He had shown in the first volume though in a very cursory way, in a few lines, — the primary source of morality — sociality, which is observed even among the animals. And he dwelt later, toward the end of his work, on the third constituent element of all scientific, as well as of religious morality: the ideal. But he did not show where the dividing line comes between justice (which says: “give what is due,” and is thus reduced to a mathematical equation), and that which man gives to another or to all “above what is due,” without weighing what he gives or what he receives — which, to my mind, constitutes a necessary, constituent part of morality. But he already finds it necessary to complete justice by adding the ideal , i.e., the striving for idealistic actions, due to which, according to Proudhon, our very conceptions of justice are continually broadened and become more refined. And indeed, after all that mankind lived through from the time of the American and the two French Revolutions, our conceptions of justice are clearly not the same as they were at the end of the eighteenth century, when serfdom and slavery called forth no protest even from liberal moralists. We have now to consider a series of works on ethics by thinkers who take the evolutionist viewpoint and who accept Darwin’s theory of the development of all organic life, as well as of the social life of man. Here ought to be included a succession of works by modern thinkers, because almost all who wrote on ethics in the second half of the nineteenth century show evidence of the influence of the evolutionist theory of gradual development — which rapidly conquered the mind, after it was so carefully elaborated by Darwin in its application to organic nature. We have already had the 200th anniversaries of the births of two of the founding figures of modern anarchism, Pierre-Joseph Proudhon (2009) and Michael Bakunin (2014). Now has come the turn of their younger and more famous contemporary, Karl Marx. Even some of the mainstream media have published articles on Marx’s revolutionary ideas, how prophetic his writings were, and how relevant his politics continue to be. Over the years, I have posted various anarchist critiques of Marx and Marxism, and will continue to do so. The first anarchist to criticize Marx’s approach was Proudhon himself, in a letter that he wrote to Marx in 1846, the year before Marx wrote his scathing (and unfair) critique of Proudhon, The Poverty of Philosophy. Proudhon sensed even then Marx’s tendency toward intellectual intolerance of conceptions of socialism contrary to his own, an intolerance that came to the fore in the International Workingmen’s Association, where Marx did everything he could to neutralize Proudhon’s followers, and the more explicitly revolutionary federalists and anti-authoritarians associated with Bakunin, engineering the expulsion of Bakunin and his comrade, James Guillaume, from the International in 1872 (something which I cover in more detail in my book, ‘We Do Not Fear Anarchy – We Invoke It’ – The First International and the Origins of the Anarchist Movement). Here are some excerpts from Shawn Wilbur’s final contribution to the Center for a Stateless Society’s forum on anarchy and democracy. It begins with a reference to David Graeber’s social anarchist approach to democracy, which emphasizes alternative conceptions of participatory democracy, drawing on various peoples’ actual practices of non-hierarchical collective decision-making, and then discusses a Proudhonian approach to anarchy and democracy, which provides a place for certain “democratic practices” within the context of Proudhon’s concepts of “self-government” and voluntary federation. I included several selections from Proudhon on workers’ self-management, anarchy and federalism in Volume One of Anarchism: A Documentary History of Libertarian Ideas. 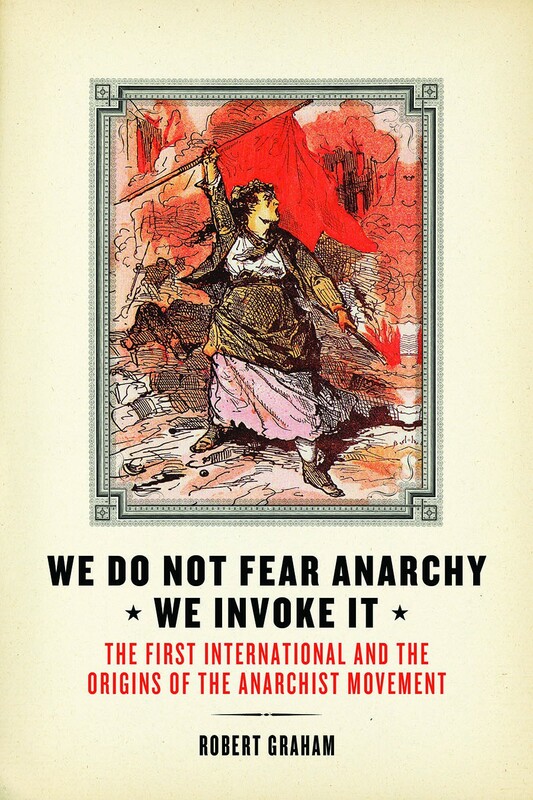 I discuss the historical development of anarchist approaches to anarchy, democracy, organization and federalism in ‘We Do Not Fear Anarchy – We Invoke It’: The First International and the Origins of the Anarchist Movement. I would simply like to pick out one aspect of Proudhon’s theory—his frequent use of the English term self-government among the synonyms for anarchy—and propose the bare outline how anarchic self-government might function in practice. One of the important elements of Proudhon’s sociology is his recognition that collectivities may have different interests than the strictly individual interests of the persons of which they are composed. That means that individuals may find themselves forced to recognize their own interests as complex and perhaps in conflicts, depending on the scale and focus of analysis. This may mean, for example, that there will be hard choices between the direct satisfaction of individual desires and various indirect, social satisfactions. But it should also mean that the more strictly individual sorts of satisfaction cannot be neglected when members are thinking about the health and success of the group. To the extent that real collectivities can be identified, and decisions regarding them limited to the members of those collectivities, negotiations can be structured quite explicitly around the likely trade-offs. To the extent that the health and success of the collectivity depends on lively forms of conflict among the members (and Proudhon made complexity and intensity of internal relations one of the markers of the health—and the freedom—of these entities), then the more conscious all members must be of the need to maintain balance without resorting to some winner-take-all scenario. This September marks the 150th anniversary of the first policy Congress of the International Workingmen’s Association in Geneva, Switzerland (from September 3 to 8, 1866). It was at the Geneva Congress that the Statutes of the International were officially adopted (with the French version fatefully referring to every “political movement” being subordinate to the “economic emancipation of the working classes,” whereas the English version referred to every political movement only being subordinate to economic emancipation “as a means”; Marx later used the English version to argue that anarchism was contrary to the International’s Statutes, which he wrote, no doubt with this arcane distinction in mind). The French delegates were largely Proudhonist in orientation. They presented a report to the Congress that quoted extensively from Proudhon’s General Idea of the Revolution, one of his most anarchist works. However, the majority of the French delegation agreed with Proudhon’s view that fathers should be in control of their children’s education. Two of the French delegates presented a “minority” report on this issue, Antoine-Marie Bourdon, a Fourierist, and Eugène Varlin, a radical socialist federalist, in which they argued that education is a social responsibility. During the debates at the Congress on the position of women, Varlin also argued in favour of equal rights for women, because the reality is that women must be allowed to earn a living by working, otherwise they would be condemned to prostitution or reliance on charity. Here, I reproduce Shawn Wilbur’s translation of Bourdon and Varlin’s minority opinion on education. I discuss the Geneva Congress in more detail in ‘We Do Not Fear Anarchy – We Invoke It”: The First International and the Origins of the Anarchist movement. Finding ourselves in agreement on the obligation to be educated in a society where we profit each day from the insights of other; recognizing the necessity of education being at once scientific and professional, we are radically divided on the means of spreading it: some maintain that this responsibility falls on the family; the others, that it must be borne by society. The convictions being equally profound on both sides, we believe that we should indicate here the principles that we have taken for a guide in the study of this question. These principles can be summarized in two words: Justice, Liberty. Justice in social relations, equality of rights and duties, equality in the means of action put by society at the disposition of the individual, equality for the individuals in the burdens of society. Individual liberty, the right for each and the power to employ their faculties, and to use them according to their will. As long as the individuals could only arrange unequal means of action, the tasks that fall to them will be unequal, and justice will not exist. As long as one constraint prevents the use of the self, liberty will not exist. That said, let us enter into the facts. The complete incapacity of the human being, at their birth, requires in its favor an advance of services of which it will have to take account, when the development of its faculties will have put it, so to speak, in possession of itself, when it becomes a being capable of action. That the mother directs his first step; that the father teaches him to hunt and gather the fruits with which he must nourish himself, and his education is complete. He can live freely and in conditions of complete equality with his fellows. The number of his brothers, even the loss of his parents would not be for him causes of inequality; the bit of demand for such an education is the guarantee that he will receive it from a strong being, whatever it may be. In the civilized state, it is something else: Man being created for enjoyments, that habit has transformed into needs, in order to satisfy them, he must produce, produce a great deal; muscular strength no longer suffices, he must put intelligence to work. From then on, education becomes complicated; to the physical development is added the intellectual and moral development. The more the faculties of man will be developed, the more and better he will produce, the more he will be useful and the more he should be happy. The less educated he will be, the less useful he will be and the more miserable, for inferiority is misery. Now, the advance sum necessitated by an education capable of developing all the faculties of the child and to put him level with science and industry, being considerable, it is no longer a matter of indifference to ask who will furnish it. It is just that this should be by those who must profit from it; but what is especially important is that all the children are assured of receiving it complete, so that none begin life in conditions of inferiority. Some say that the responsibility for education falls on the family! Can the family furnish equal means of education to all children? No. Depending on whether the family has more or less children, it will have more or less resources; and while the father of one could, without depriving himself, give them not only primary education, but also secondary and even higher education, the father responsible for many children will barely give them elementary instruction. The son of the first will become the manager of enterprises for which the children of the second will be the laborer. Inequality for the children in the results, inequality of burdens for the families, and thus no justice. To shield themselves from these shocking inequalities, the partisans of education by the family propose to found some cooperative insurance societies in order to provide, in equal parts, for the costs of education of their children, whatever their number. That idea is certainly very laudable, but is it capable of guaranteeing the education of all the children? No. There will always be improvident fathers. Unconcerned for their dignity and the interests of their children, they will not insure it; and, if education becomes too heavy a burden for them, they will neglect it. Some quantity of children will still find themselves at risk of lacking education, or of only having due to the public or private charity that our opponents energetically reject, as it applies to men who have consciousness of their dignity. But if it is good to guarantee oneself against all protection, all charity, wouldn’t it be better still to destroy them by leaving them no place any longer, no void to fill? As for us, we do not accept that a single child should be deprived of instruction, that charity finds a single child to instruct. Let society take education under its charge, and the inequalities cease, charity would disappear. Education becomes an equal right for all, paid for by all the citizens, no longer according to the number of their children, but according to their ability to contribute. Incidentally, who will profit from the education of the child? Isn’t it the entire society, rather than the family? Now, if it is society, let it be society that covers the costs. But there is not only the question of tasks and expenses; there is also, and especially, a question of direction, and it is to this that the partisans of education by the family cling most. The fear of the absorption of the individual by the state, the terror of official education, makes them forget all the costs of education, all the social inequalities that inequality of instruction brings about. Certainly, we can only agree with their criticisms of university education, only applaud the blows struck by them against the monopoly of education, for it is not to us that all that is addressed. We even make this declaration, that if we only had to choose between the monopoly of education in the hands of a despotic, absolute power, of the government of one man or a few men, and the liberty of education as the responsibility of the family, we would opt for liberty. But when we demand that education be the responsibility of society, we mean a truly democratic society in which the direction of the education would be the will of all. It will doubtless be objected that everyone will never have the same will and that the minority must be subject to the majority. That will occur even with mutual insurance. But we are allowed to hope that the habits of liberty will lead the citizens to make some reciprocal concessions, and that the programs of study will be formulated according to generally accepted ideas, excluding above all affirmations without proof and accepting only the sciences and reasonable things. In our mind, the central administration, having formulated a program of study including only the essential notions of universal utility, will leave to the communes the task of adding what seems good and useful to them in relation to the places, manners and industries of the country, and to choose their instructors, to open and direct their schools. What is more, that education by society will find an excellent corrective in the liberty of education, in the natural right that the individual has to teach what they know, and learn what they don’t know. A right of which we are presently deprived, and that we are all resolved to demand with all our energy. This right of education would not only allow some teachers to offer courses concurrently with the public schools, either for general studies or more often for specialized studies; but still, by leaving to each the ability to establish courses or conferences critical on the points found incomplete or on flaws in teaching, would permit the presentation of these objections to the students and the public who would [be the] judge. This would force the public educators to hold themselves to the level of science and to the improvements of teaching methods in order to leave the least possible foothold for criticism. It seems to us that in this manner the parents would have as large a part as desirable in the direction of education; and the children would be assured of all receiving an education as complete as necessary. But in order for all to be assured of receiving that instruction, there must be an obligation! Should it be real or simply moral? If the obligation is real, it is said, you strike at the liberty of the child and the authority of the father. As for the liberty of the child, we respond: in order to be free, it must have the enjoyment of all its faculties to be able to suffice for its own existence; now, the child is not free, and to become free, has need precisely of education. In terms of paternal authority, a father does not have a right to refuse education to his child. Now, society having the duty of safeguarding the interests of its members, in the name of the interest of the child when its father leaves it in ignorance, it should take it and instruct it. We conclude then for education by society, under the direction of the parents and compulsory for all children; but we also demand, whatever happens, the freedom of education. AK Press now has a graphic for the cover of my forthcoming book, “We Do Not Fear Anarchy – We Invoke It”: The First International and the Origins of the Anarchist Movement. I have already posted a few excerpts on this blog. The book should be out next Spring. Here, I set forth some excerpts from the Introduction, where I provide a definition of anarchism based on the way the anarchists in the International conceived it. The quote in the title, “We do not fear anarchy – we invoke it,” is from Bakunin. During his polemics within the International against the “authoritarians” and “bourgeois socialists,” Bakunin set forth six primary grounds for distinguishing his anarchism from the views of his opponents: first, his rejection of any kind of institutional, coercive authority (anti-authoritarianism); second, his opposition to the modern state, even as a “transitional” power to abolish capitalism (anti-statism); third, his opposition to any participation in existing systems of government or “bourgeois politics” (anti-parliamentarianism); fourth and fifth, his advocacy of voluntary federation during the struggle against capitalism and the state and in a post-revolutionary society (federalism), so that the revolutionary means were consistent with the revolutionary ends (libertarianism); and sixth, his call for the immediate abolition of the state and capitalism by means of direct action, including insurrection and the expropriation by the workers themselves of the means of production (social revolution). 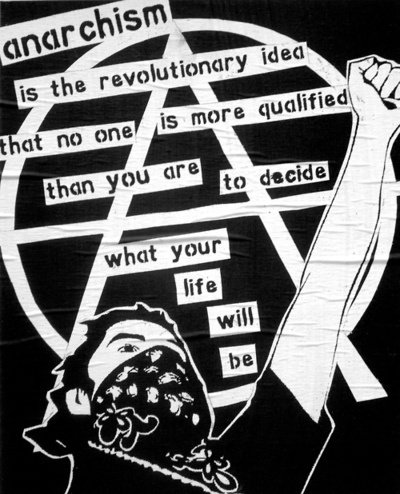 Following Bakunin’s approach, anarchism, whether his, Proudhon’s or someone else’s, can be distinguished from other doctrines on the basis of its anti-authoritarianism, anti-statism, anti-parliamentarianism, federalism, libertarianism and advocacy of direct action. Bakunin included Proudhon in the anarchist camp despite Proudhon’s opposition to insurrection and expropriation and his gradualist approach. Bakunin recognized that despite these differences Proudhon was still an anarchist. Both advocated direct action, but with Proudhon emphasizing non-violent direct action that would gradually hollow out existing institutions and replace them with voluntary agro-industrial federations. While Proudhon and Bakunin were both proponents of “social” revolution, Proudhon’s social revolution was conceived in gradual, pacific terms, not in insurrectionary terms, in contrast to Bakunin. Furthermore, all socialists of their era agreed on the need for some kind of “social” revolution, given the failure of the preceding “political” revolutions (the French Revolution and the European revolutions of 1848-1849). 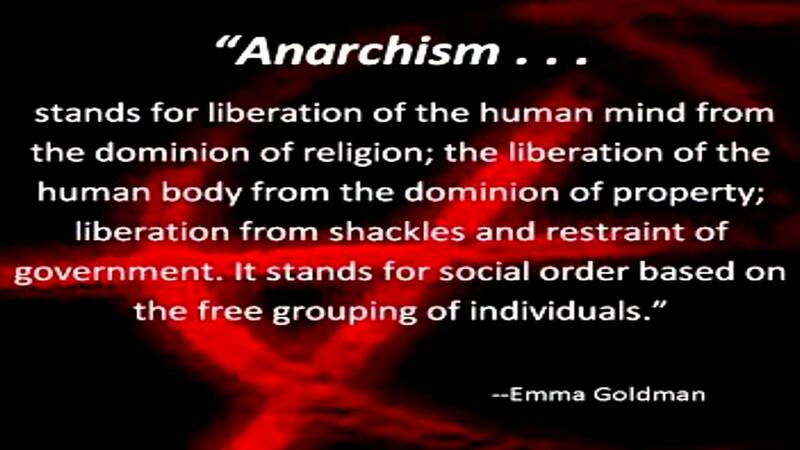 Consequently, advocacy of social revolution does not distinguish anarchism from other doctrines, such as socialism. For the purposes of this study, therefore, I will proceed on the basis that anarchism can be defined as a view that rejects coercive authority, the state and participation in existing systems of government, and which advocates federalism (or voluntary association), libertarianism and direct action. This is consistent with Proudhon and Bakunin’s conceptions of anarchism and, as will be seen in the chapters which follow, the views of those members of the International who came to identify themselves as anarchists and to create an international anarchist movement. Arguably, some of these six defining characteristics can be derived from the others. For example, the state and government can be seen simply as specific examples of coercive authority, so that anti-authoritarianism is the primary defining characteristic of anarchism. As Sébastien Faure (1858-1942) put it, “whoever denies Authority and fights against it is an Anarchist.”[i] Be that as it may, in historical terms I believe that it was on the basis of these six characteristics that anarchism came to be distinguished from other political orientations. These six criteria help to flesh out the content of anarchism in a more substantive sense, providing a more robust and “political” conception of anarchism as something more than mere “anti-authoritarianism.” To define anarchism simply on the basis of what it is that anarchists oppose fails to take into account the positive anarchist alternatives to authoritarian institutions and practices that also distinguish anarchism from other doctrines. [i] Woodcock, The Anarchist Reader, 1977: 62.